This section describes how to replace and handle the Canon LBP2900 printer toner cartridge and precautions on storing it. Contact the store where you purchased the printer to obtain replacement Canon 2900 toner cartridges. When you need replacing the toner cartridge of Canon LBP 2900 printer? 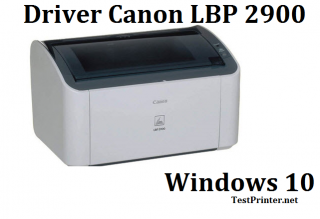 – Even when the Canon LBP 2900 laser printer toner cartridge is nearing the end of its life, there are no messages displayed on the computer (Windows OS or Linux OS). – If white stripes appear lengthways along the paper, or if the printed text becomes faint or patchy, you may need to replace the toner cartridge of your canon lbp 2900 printer. When replacing toner cartridges, only use toner cartridges that are specifically designed for Canon LBP 2900 printer. Turn off your Canon LBP 2900 and plugout all power (power off). Printer LBP 2900’s toner cartridges are consumable parts. If there is not enough toner in your toner cartridge, white stripes will appear lengthways on the paper and printed text will appear faint or patchy. If you experience any of these symptoms, try the following actions before replacing your Canon LBP printer toner cartridge. This may allow you to print for a while longer until the toner is completely spent. Grasp the groove on the right side of the top Canon 2900 printer cover and open the cover until it stops. A.2. Lift the toner cartridge in the direction of the arrows (1) , then pull it out (2) . If you touch the inner your canon 2900 printer drum with your hand or scratch it, the printing quality of your printer 2900 will be degraded. Do not touch or open the protective shutter of the drum under any circumstances. Be careful not to hold or touch any parts other than as directed. Doing so may damage old canon lbp printer toner cartridge. How to pull canon lbp 2900 toner cartridge to printer? Align the protrusions on the left and right ends of Canon 2900 toner cartridge with the toner cartridge guides in the main printer, and push the cartridge all the way to the back (1) , then pull it down towards you (2) . If the printing remains patchy even after following these steps, you should replace your canon lbp 2900 toner cartridge with a new cartridge. 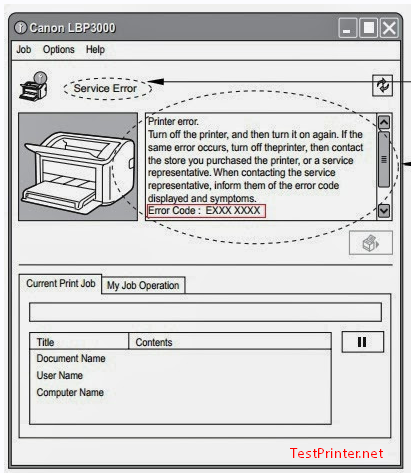 B.1 – Do step A.1, A.2 with above instruction to remove old Canon LBP 2900 printer toner cartridge. B.2 – Take the new canon lbp 2900 toner cartridge out of the protective bag. As there is a notch cut into the protective bag near the arrow, you can tear open the Canon LBP 2900 toner cartridge bag by hand. However, if you are unable to tear open the bag by hand, you should use scissors to cut the bag open to avoid damaging your new Canon LBP 2900 toner cartridge. Hold new canon lbp 2900 printer toner cartridge as shown in the figure, and roll it gently from side to side 5 or 6 times to evenly distribute the toner inside. Place LBP 2900 printer toner cartridge on a flat surface, then slowly pull out the sealing tape (approx. 50 cm in length) while supporting the Canon toner cartridge. Now, follow step A.3 and A.4 to pull new LBP 2900 toner cartridge to printer.